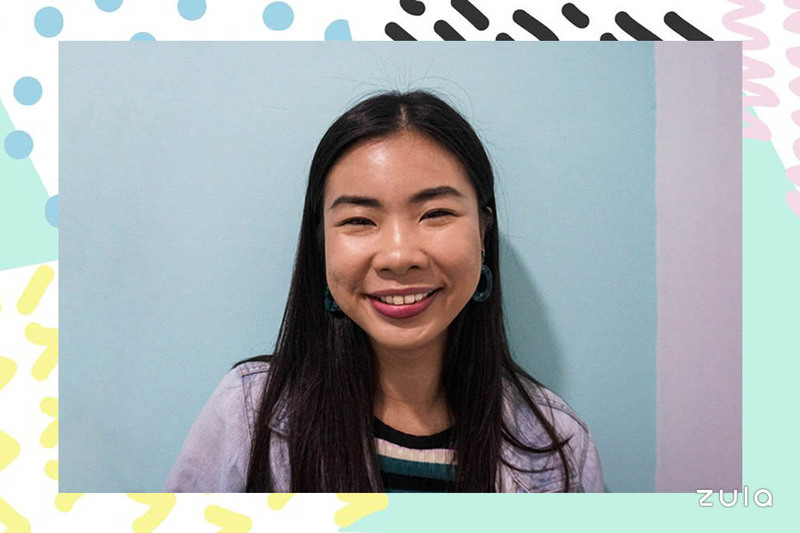 Somewhere during my transformation from gangly, awkward tween to semi-presentable adult, I realised having a nice smile was one of the keys to looking #flawless. While braces tamed my buck teeth, I was still self-conscious of my yellow teeth. I’ve tried religiously brushing with whitening toothpastes and using whitening pens. I’ve experimented with DIY baking soda and lemon hacks and applied blue-toned red lippies. But nothing really worked. 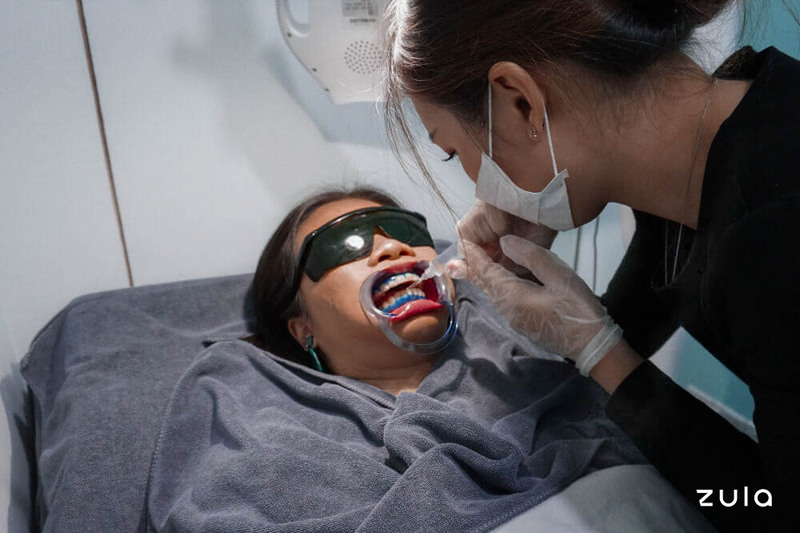 So when I was asked to try La Vie Aesthetics’ SparkleSmile Teeth Whitening treatment, I screamed, “YAS”. If I had the chance to brighten my teeth up to eight shades in 15 minutes and achieve pearly whites, why not? Before the treatment, I was given a form to declare how often I consumed black tea, red wine, coffee, fizzy drinks, and cigarettes. 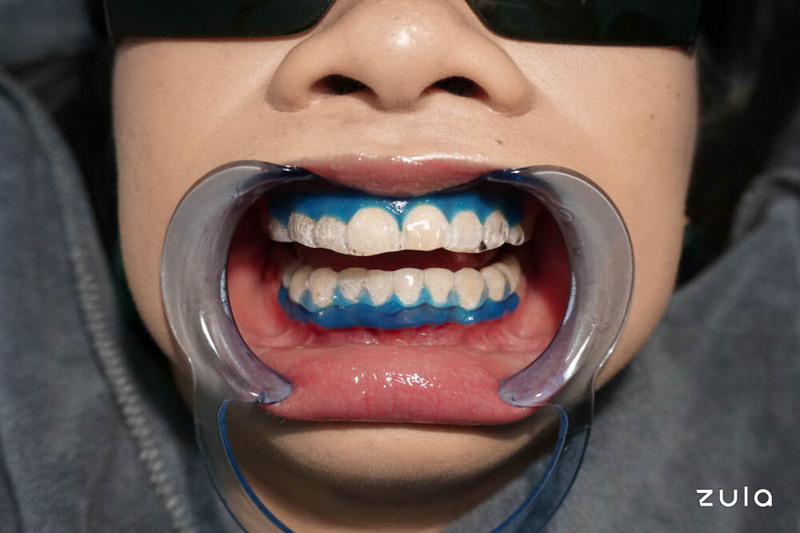 This allowed the La Vie Aesthetics’ aestheticians to understand how my lifestyle choices affected the colour of my teeth, and tell me what an achievable shade would be. Then, I was ushered into a consultation room and had the teeth whitening process explained to me. 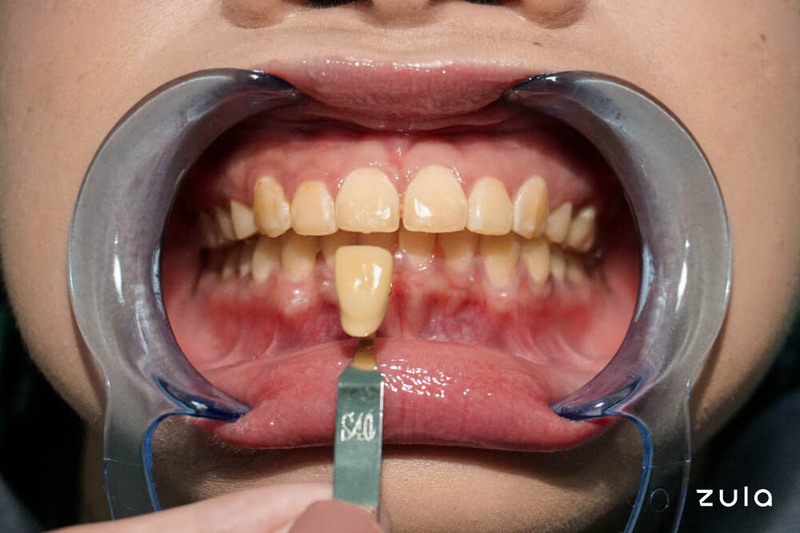 Usually, dentists use peroxide-based whitening formulas. While the corrosive ingredient is effective at brightening teeth, it is also known to break down enamel and weaken teeth. 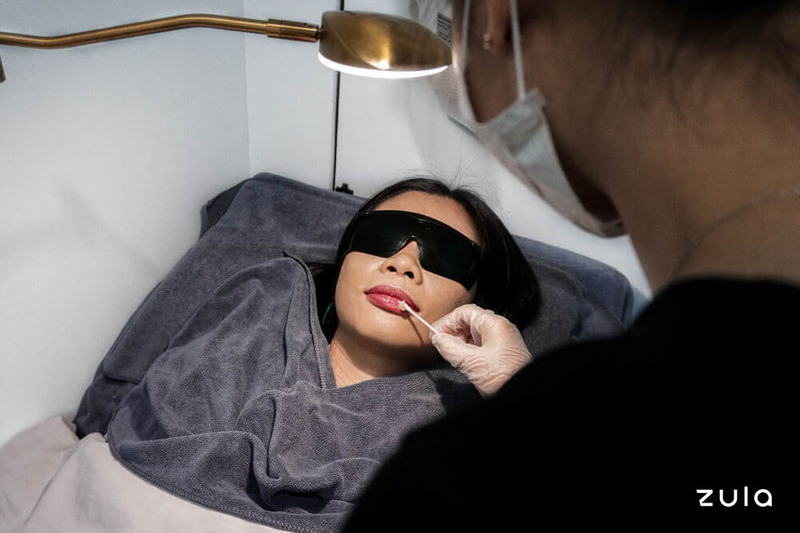 But at La Vie Aesthetics, my aesthetician reassured me the SparkleSmile Teeth Whitening was gentle and suitable for my sensitive teeth. 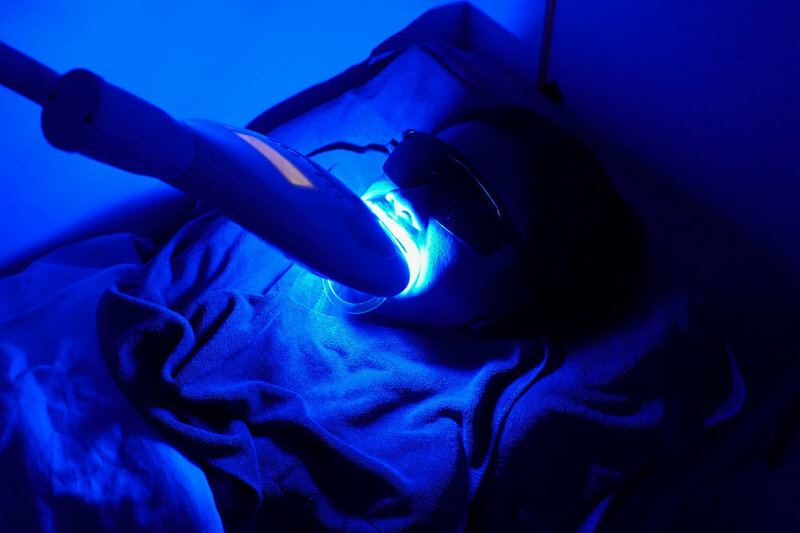 The procedure utilises a natural, non-peroxide teeth whitening gel activated by a blue LED light to remove stains and discolouration. Then, the aesthetician used a scale to identify which shade of white my teeth were. I’ve never been a morning person so I require at least three cups of coffee to function at work. On weekends, I consume an unwise amount of red wine. And until recently, smoking was a regular thing. So unsurprisingly, my teeth were hella yellow. My top row was shade 40 (the yellowest shade), and my bottom row was shade 38. 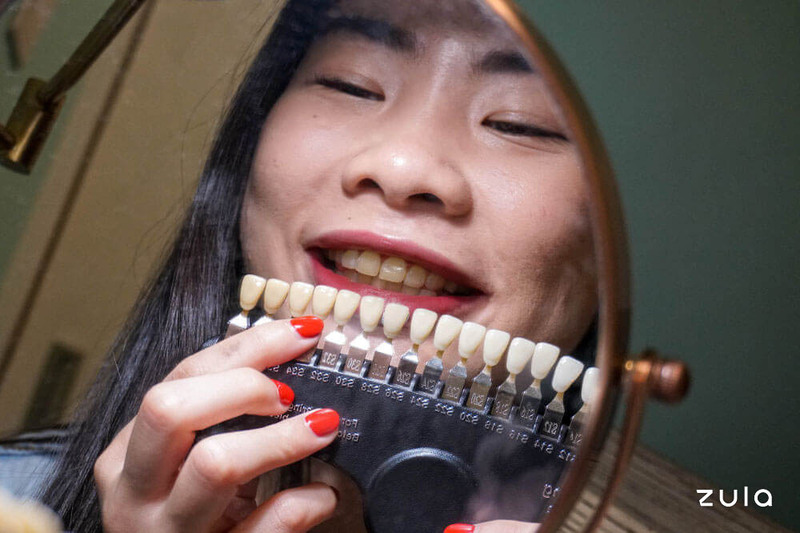 Due to our bone composition, Asians tend to have yellower teeth than Caucasians. So for best results, several rounds of whitening are recommended. With the aesthetician’s advice, I opted for three rounds. After, I was shown into a small, cosy room to brush my teeth. Then, I was snugly tucked into a comfortable bed to start the whitening process. First, a gel was applied to my lips to prevent them from drying and cracking. Then, my gums were layered with a protective blue gel, and each tooth meticulously coated with the non-peroxide formula. A plastic holder was used to keep my mouth open. After, the blue LED light was switched on for 15 minutes per round. 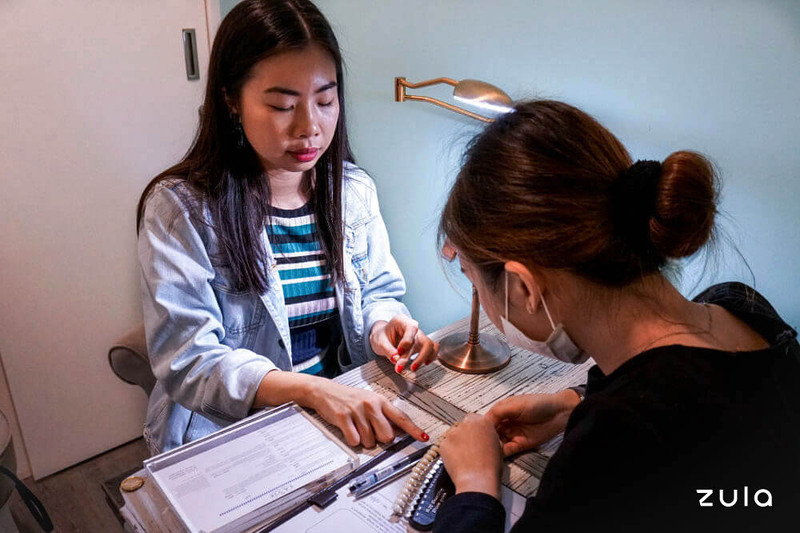 At the end of each round, the aesthetician returned to apply another coat of whitening gel. My initial fear of sensitive teeth hurting was unfounded as the treatment proved to be non-invasive, heat- and pain-free. In fact, the procedure was so comfortable I actually fell asleep. After gently rousing me from my nap, the aesthetician sat me down for a post-treatment consultation. I was impressed with how my top row lightened from shade 40 to 28. And my bottom row brightened from shade 38 to 28. If you have white spots on the surface of your teeth, they may be more obvious post-treatment. But the discolouration will even out and disappear after a couple of hours. For whitening at a dentist, professionals will usually recommend doing whitening a maximum of once a year. 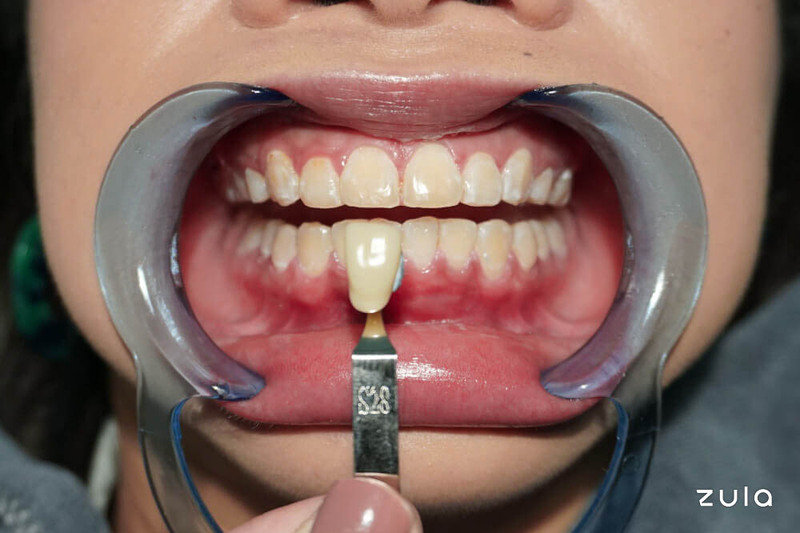 This is because the peroxide concentration in the whitening formulas are often high and can worsen teeth sensitivity. 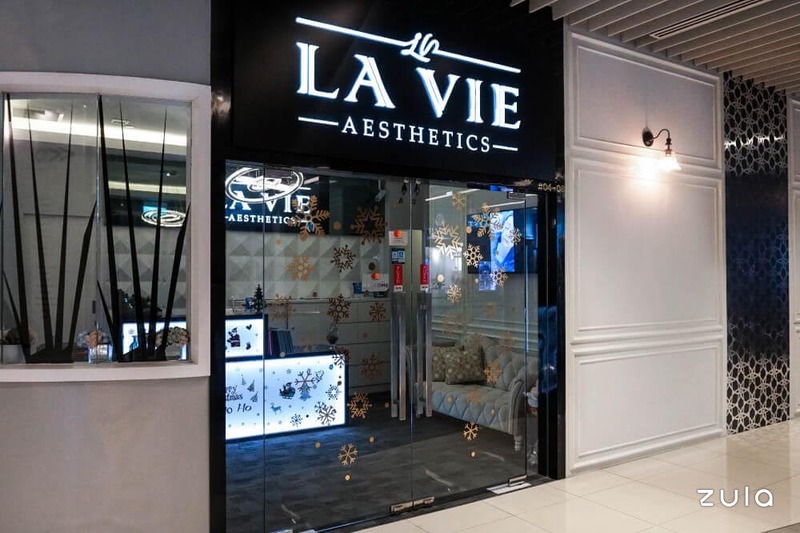 But with La Vie Aesthetics, you can do up to three rounds of treatment in one sitting. After a month, you can return to do regular brightening maintenance or improve the whiteness of your teeth. 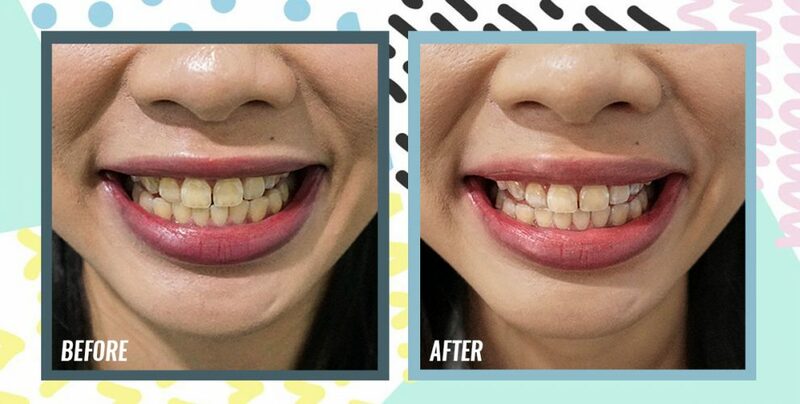 Currently, the SparkleSmile Teeth Whitening treatment is going for a promotional price of S$168 per round for first-time customers aged 21 and above (usual price S$588). To book an appointment, head over to their website for a quick, safe, and effective way to achieve a pearly white smile.